If you become incapacitated due to an injury or illness, it is important to have someone who can handle your affairs on your behalf. 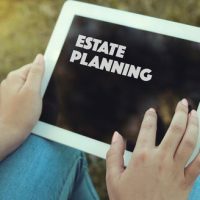 As part of estate planning and asset protection, seeking a guardianship through the court or having a durable power of attorney in place are two options that grant authority to others to handle your affairs. While both accomplish many of the same types of objectives, it is important to be aware of key differences between the two in advance. Signing legal documents or initiating legal proceedings. You may also authorize an agent to make healthcare decisions on your behalf as well. These decisions include deciding on the type and extent of care you receive and when medical efforts should be discontinued, and must be in accordance with any prior instructions. A guardianship involves a court action that appoints someone to look after your interests if you are incapacitated or unable to do so yourself. Similar to a POA, the person appointed has the authority to make financial and health care decisions that affect your day to day life. It differs in the fact that you no longer share in this authority, and while the guardian is expected to act in your best interests, they are not restricted to only those actions which meet with your prior written approval. If a guardian is necessary to ensure the person’s financial needs and personal well-being, including the need for food, clothing, shelter, and medical attention, are being provided for. If the person either agrees to the appointment, or is deemed incapacitated and unable to attend to the above needs themselves. While your agent in a POA can be held legally liable for mismanagement of your accounts, guardians are generally only liable for losses that occur as the result of theft or fraud. If you have concerns about a loved one who is incapacitated or questions about how powers of attorney and guardianship hearings might apply in your case, contact our experienced New York estate planning attorneys today. At Cavallo & Cavallo, we provide the legal guidance and professional legal representation you need to ensure the rights and interests of both you and your loved ones are protected.